Leave it to one of Italy’s most premium denim suppliers to create a premium way to present its most sustainable fabric. 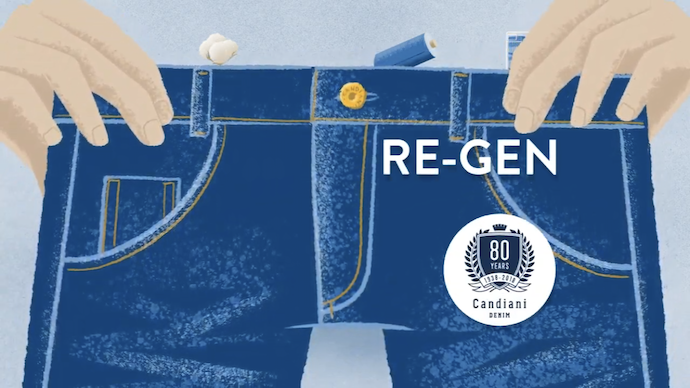 Taking to video, Candiani tells us the story of Re-Gen, its innovative 80th Anniversary fabric, using characters, a unicorn and clear insight on what makes its fabric special. From the fibers, Candiani makes its fabric with 50 percent TENCEL™ Lyocell with REFIBRA™ technology, and 50 percent recycled cotton.